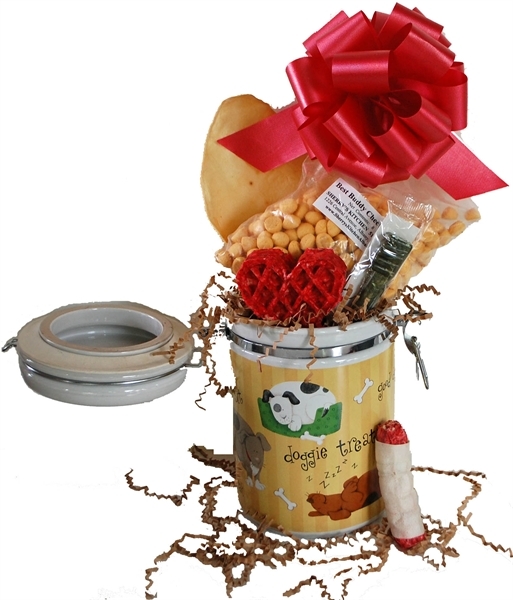 This Ceramic Cannister filled with goodies for the pooch makes a really nice "New Puppy" gift. Nationwide Shipping or Hand Delivery available in the Albany, NY area. Want to make a change in Price or Contents ?